A $300 million (gross development value), five-building development in Melbourne’s west has been approved despite concerns regarding its impact on the surrounding area. 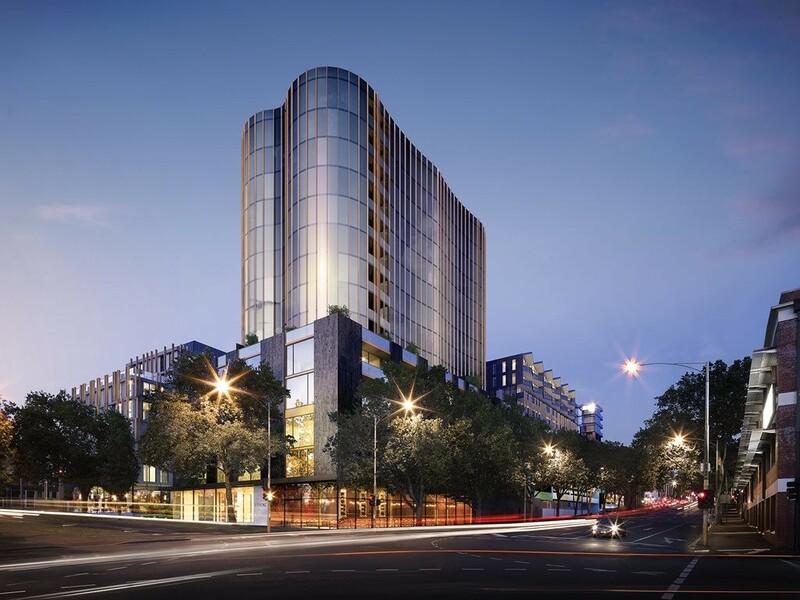 Plans for the 80,000sqm site at 185 Rosslyn Street, West Melbourne have been on the cards for a number of years and the road to earning a planning permit hasn’t exactly been smooth sailing for the developer. A Rothelowman-designed masterplan for the former industrial site was drawn up back in 2014, but this was replaced by an ARM Architecture iteration in early 2016. ARM’s plan received strong objections from Melbourne City Council on account of its scale, bulk, mass, height and lack of deep-planted public space but developer Trenerry Property did push on, first calling the council’s comment “a bit perplexing” before earning a permit from planning with the help of an impressive line-up of architects. CHT Architects is the principle architect for the project, working from ARM’s masterplan with the help of Carr Design, Mim Design, Six Degrees and Hecker Guthrie who have each made contributions to the development. Four independent apartment buildings, with individual apartment capacity ranging from 59 to 102 apartments and a total of 358 apartments, will be developed as will a 92-room, 4.5 star new concept hotel. The lot was the former home of the Australia Post Mail Centre, sold to Trenerry Property back in 2014, and is one of a number undergoing large-scale development in the west end. A nine-storey 165-apartment building designed by Buchan Group is currently under construction down the road at 133 Rosslyn street while demolition has also begun on a 16-storey residential project at 386 Spencer Street West Melbourne designed by Hayball.